The completion of the universe as to the completeness of its parts belongs to the sixth day, but its completion as regards their operation, to the seventh (ST I, Q. 73, Reply to Obj. 2). In other words, the origin of the different kinds of creatures—stars, plants, animals and men—cannot be explained in terms of the activity of created things—that is, in terms of the same material processes that are going on now. Thus, according to all of the Fathers, Doctors, Popes and Council Fathers, in their authoritative teaching, it is impossible to extrapolate from the present order of nature and from the material processes that are going on now to explain how these things came to be in the past. This assumption was not based on human reasoning or experience. It was based on God’s revelation to Moses in which He clearly stated that the work of creation was a fiat creation and that it was finished on the sixth day with the creation of Adam and Eve. Therefore, ALL the Fathers, Doctors, Popes and Council Fathers drew the boundary between theology and natural science AFTER the creation of Adam and Eve. From this starting point, they recognized that the work of creation was the proper realm of the theologian. The natural order—which began AFTER creation was finished—was the proper realm of the natural scientist. Therefore, they recognized that it is impossible to extrapolate from the material processes that are going on now, like supernova explosions and genetic mutations, to explain how everything came to be in the beginning. St. Peter went on to predict that these scoffers would have to deliberately ignore the FACT—not the pious belief—that it was the Word of God that brought the heavens and the Earth and all they contain into existence, NOT a material process like what we observe in the world today. And this is, indeed, the fundamental error of all evolutionists, theistic or atheistic, including Descartes, Kant, Hutton, Lyell, Darwin, Teilhard de Chardin and all of their modern disciples. 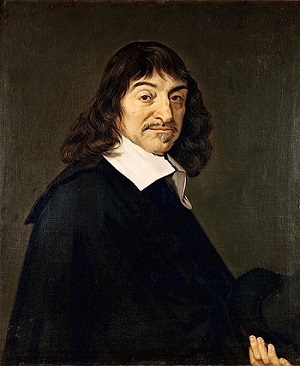 In reality, Descartes wittingly or unwittingly distorted the “common opinion” of theologians which identified the creative action of God in creating the universe with His action in maintaining it. Rightly understood, this common opinion held that God created and sustained the universe by His divine omnipotent power, but it distinguished between the exercise of that power to create the corporeal and spiritual creatures ex nihilo and the maintenance of the universe after it was finished and complete. St Thomas followed Aristotle in teaching that a small error in the beginning becomes a huge error later on. But in the case of Descartes, a huge error in the beginning became an unimaginably monstrous error in the end. And this explains why highly intelligent and virtuous people can be completely wrong in their conclusions about origins—because in regard to the origins of man and the universe they have accepted the false premise of Descartes and unwittingly rejected the premise that was held by ALL of the Fathers, Doctors, Popes and Council Fathers in their authoritative teaching. Indeed, a man could be the smartest person in the world—and virtuous and well-intentioned to boot—yet if he starts from a false premise, he will always reason (perhaps even sincerely and brilliantly) to a false conclusion—as all evolutionists do. 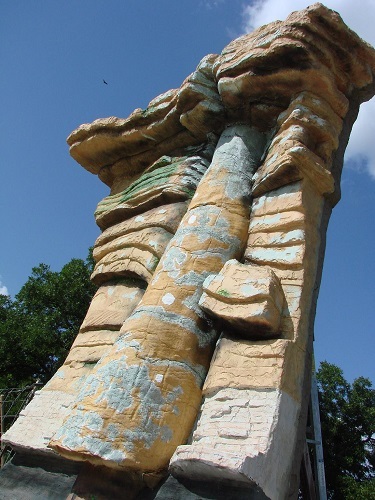 The currently-accepted geological column was determined in almost its present form more than 120 years ago, before the invention of radiometric dating. In his influential work on geology, Charles Lyell speculated that great oceans periodically washed over the land, sediments settled out gradually; the waters withdrew; the sediments hardened into rocks; and this process was supposedly repeated over and over again for aeons of time. James Hutton, Charles Lyell, and their disciples then speculated that if Lyell’s mechanism for sedimentary deposition was correct, the fossils in the rocks seemed to tell the story of life developing from the simpler to the more complex—from fish to reptile, to amphibian, to bird and mammal and finally to man. This provided the basis for Charles Darwin’s hypothesis of biological evolution which held that all of the different kinds of living things had evolved through a process of natural selection from one or a few one-celled ancestors over long ages of time. 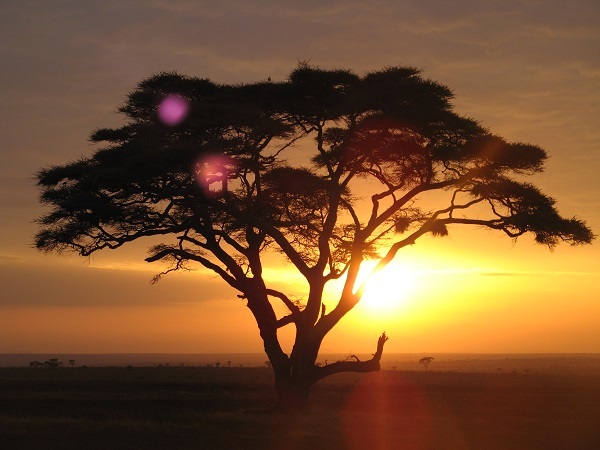 And so he proposed the “Tree of Life” with human evolution at the top of its branches. It is important to understand that the whole hypothesis of biological evolution was firmly based upon Lyell’s speculations in geology, which were, in turn, firmly based upon Descartes’ uniformitarian principle which he received from the “angel of truth”—alias Lucifer. Moreover, Lyell in his private correspondence admitted that his primary purpose in promoting his new geology was to destroy the credibility of the Holy Bible—most especially the Mosaic account of the Global Flood. It is extremely important, therefore, for all Catholics to recognize that the evidence from theology and natural science actually contradicts the false premise of Descartes, as well as the speculations of Lyell and Darwin and their disciples down to the present day. At this point we will briefly consider five theological arguments for the historical truth of the Mosaic account of the Flood before spending most of the rest of the article examining six powerful bodies of physical evidence for a global cataclysm about 4500 years ago. Our Lord Jesus Christ testified to the global Flood.Our Lord compares the global Flood in the days of Noah to His Second Coming. Just as the Second Coming will affect every creature on Earth when it occurs, so did the Flood in the days of Noah (Luke 17:26). All the Church Fathers testified to the global Flood.The Council of Trent and Vatican Council I both defined that when all of the Fathers of the Church agree on any interpretation of Scripture that pertains to a doctrine of faith or morals, it is definitive. All of the Fathers agreed that the Flood was a real historical event that covered the whole Earth. They also held that the Ark of Noah was a type of the Catholic Church outside of which there is no salvation. Just as the Church is a real entity, so the Ark was a real entity. Why spend a hundred years building an Ark to escape a local flood? Why take animals on the Ark to escape a local flood?God commanded Noah to work on the Ark more than 100 years before the Flood occurred (Genesis 6:1, Genesis 7:4). This would be absurd if the Flood were to be a local flood, since God could just have told Noah to move from one country to another as He did with Abraham hundreds of years after the Flood. It would be equally absurd for God to direct Noah to take every kind of animal on the Ark if the Flood were a local flood, since the animals could simply have moved away from the flooded area. A local Flood would make God a liar.God promised Noah never to send another Flood upon the Earth (Genesis 9:11). If the Flood was a local flood, then God lied to Noah, as there have been countless local floods during the four and a half millennia since the Flood of Noah. Eyewitness testimony from all over the world. 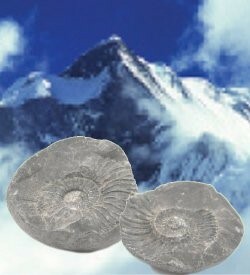 Marine fossils on top of Earth’s high mountains. Billions of well-preserved fossils all over the Earth. 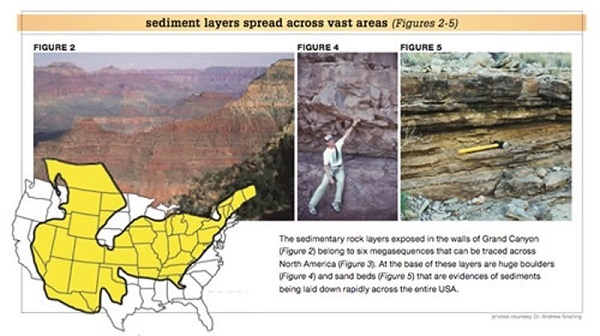 Sediment layers cover vast areas. No slow and gradual erosion. Rapid deposition. Over-sized valleys, water gaps, and vast planation surfaces. Hundreds of people groups all over the world have preserved an historical memory of a global Flood. It is significant that the histories handed down by people groups who settled close to the location of the Tower of Babel, resemble most closely the true history related by Moses in the sacred history of Genesis. This chart compares Flood accounts from all over the world and shows the remarkable similarities that exist among them. Not only do these accounts recall the Flood as a global event and a judgment upon mankind from which only one family and some animals were spared on an Ark; many of them include details contained in the Mosaic account of the Flood, such as the release of a bird to determine if the flood waters had receded at the end of the Flood. The illustration below displays an ammonite fossil, the fossil of a marine creature, discovered high in the Himalayan Mountains. Such fossils are found on all of the Earth’s highest mountains, indicating that the mountains were once under water before being uplifted towards the end, or after, the Flood. The existence of billions of fossils like this one all over the Earth points to a unique, global, watery catastrophe, because fossilization is a rare occurrence and we do not find anything forming today that compares with the fossil graveyards of the past where thousands of marine and land-dwelling creatures were drowned and buried together. No geological event in the recorded history of the last four thousand years could even begin to explain how these kinds of animal graveyards were made. This illustration shows the beautifully preserved remains of a female fish the act of giving birth to a baby. It is apparent that these fish were rapidly buried. Had they died under normal conditions, they would have been scavenged and decomposed by microorganisms until nothing remained of them. Thus, the fact that we find billions and billions of beautifully preserved remains of marine creatures mixed with the remains of land creatures tells us that some unique event was responsible for the preservation of fossils on this scale. The sedimentary rock layers exposed in the walls of Grand Canyon belong to six megasequences that can be traced across North America. At the base of these layers are huge boulders and sand beds that are evidences of sediments being laid down rapidly across the entire USA. 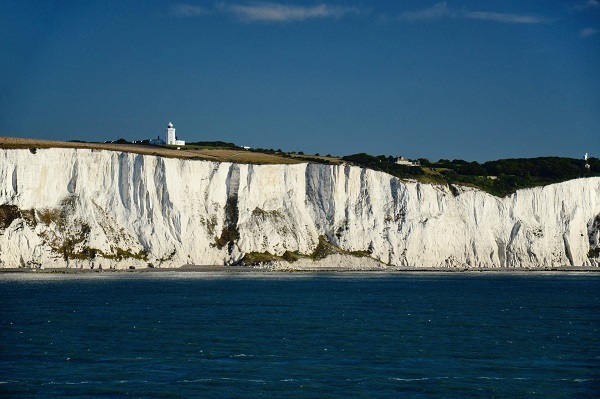 The chalk beds of southern England (shown below) can be traced across France, Germany, and Poland, all the way to the Middle East. What kind of geological phenomenon observed in recent times could lay down water-borne sediments over three continents! 5 – No slow and gradual erosion. Rapid deposition. Polystrate Fossils and Planation Surfaces. This strongly indicates that the sediments that hardened into these layers must have been laid down rapidly and almost simultaneously. All over the world one can find polystrate fossils which cut through multiple layers of sedimentary rock, layers which, according to the conventional evolutionary time-scale, were deposited over tens or hundreds of thousands, or even millions of years. 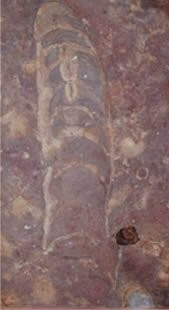 The existence of polystrate fossils, like the tree trunk shown below, testifies to the rapid and catastrophic deposition of sediments and contradicts the Lyellian understanding of sedimentary deposition. In recent decades sedimentologists who study the way that sediments are laid down in nature to form sedimentary rocks have built huge laboratories where they can do empirical research in their field. This research has revealed that Lyell and his disciples failed to take adequate account of the role played by moving currents of water in the deposition of sediments. In sedimentological laboratories, scientists have discovered that sediments are deposited by moving currents of water very differently from the way that Lyell and his disciples imagined. Instead of slow and gradual vertical deposition of sediment, moving currents of water deposit water-borne sediments laterally and vertically at the same time, according to their physical characteristics. 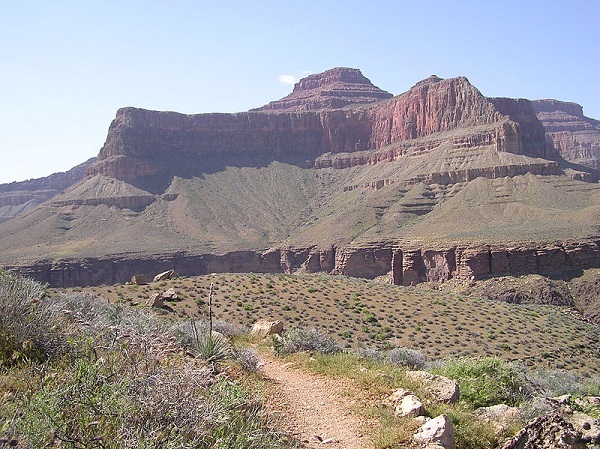 In recent years, geologists have reinterpreted several huge sedimentary rock formations in light of empirical research in sedimentology, including the Tonto Group, a large section of the Grand Canyon depicted below. 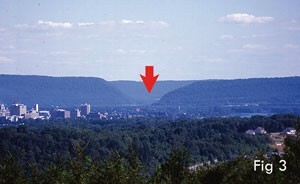 According to a peer-reviewed article published in the journal of the French Geological Society, careful analysis of the sediments that make up this formation indicate that the whole deposit was laid down rapidly—in a matter of days or weeks, not millions of years—by an enormous body of water moving from east to west across what is now the Southwestern United States. Another common observation consistent with the historical reality of the Global Flood is the beautiful sharp folding of multiple sedimentary layers within uplifted and folded mountain ranges which can be witnessed all over the Earth. If these layers had been laid down over millions of years, there ought to be some evidence of cracking and fracturing of the more ancient layers during the folding and uplifting of the mountains. Instead, all over the Earth, one observes multiple layers of sedimentary rock, folded in beautiful tight folds, without any fracturing—a clear indication that all of the sediments were laid down rapidly at more or less the same time, and that there were no long intervals of time between them. 6 – These features of the Earth go hand in hand with other features that characterize enormous areas of the Earth’s surface: Water gaps, over-sized valleys, and planation surfaces. Water gaps and over-sized river valleys constitute two other world-wide geological phenomena that testify to a recent global Flood. Water gaps like the ones depicted below can be found all over the surface of the Earth. The same geological forces that produced enormous sedimentary deposits extending from one continent to another also left behind enormous planation surfaces as Flood waters receded from the continents and flowed into the ocean basins. For example, almost two-thirds of the entire land surface of the African continent is a planation surface, sheared off by the receding waters of the Flood as they flowed into the oceans. No geological event since the Flood has come close to producing the kinds of effects that can still be observed all over the Earth as a consequence of that unique global cataclysm. In 1859 Antonio Snyder proposed a geological model based on the sacred history of Genesis to explain the origin of the continental land-forms, one that has proven much more accurate than Charles Darwin’s hypothesis for the Origin of Species. Moses tells us that on the third day of Creation Week God “gathered the waters into one place and made the dry land appear” (Genesis 1: ). 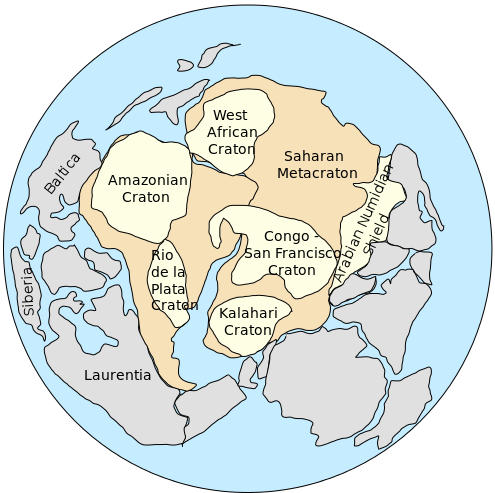 Snyder inferred from this that there was only one super-continent in the beginning and that subsequent geological activity must have broken up the initial super-continent, or Pangea, into the continental land-forms we see today. Secular geologists eventually embraced Snyder’s Pangea hypothesis and today it is all but universally accepted that the continents rest on plates which are slowly moving away from each other. However, most geologists extrapolate from the current slow movement of the continents and conclude that the separation of the continents from the original Pangea must have taken place over hundreds of millions of years. The Bible plainly states that the “fountains of the great deep were broken up, and the windows of heaven were opened” during the initiation of the Flood (Genesis 7:11). In terms of CPT, the breaking up of the fountains of the great deep may be a description of the rifting that took place at the ocean ridges and even within continents. Obviously, the rainfall described as the opening of the “windows of heaven” must have contributed to the Flood. The distinctive magmas generated by the partial melt of subducted ocean lithosphere provide the perfect recipe for explosive, ash-rich eruptions. 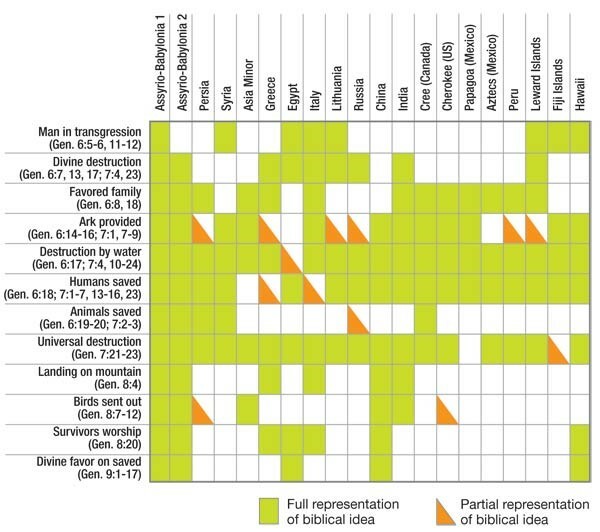 Before moving on from physical evidence for Noah’s Flood, it may be helpful to give two or three examples of reasonable extrapolations from historical data that confirm the historicity of the Genesis account of the Flood. [T]here is reliable data on world population (wp) for only a few centuries back. During the ‘plague years’, the growth rate was only .318% globally, but the other centuries were around .7% to 1.8% globally. (Today the US growth due to births alone is about 1.7% and third world countries is about 4%). The AVERAGE annual growth rate (birth rate minus death rate) would come out slightly under one half of one percent throughout recorded history. The actual percent is ~ .456%. This is a scientific calculation from the data available from the approximately 400 years of recorded history on population. [If an evolutionist] plugs in his data into the formula for human world population: P = P0 ert (taken from Pre-Calculus by Karl J. Smith, 4th edition, p. 200). He puts into the formula a 2 for Po which is for one man + one woman (the original Homo Sapiens ‘couple’), 2.718 for e, the base of natural logarithms, and raise 2.718 to the product of “r” .456% (.00456 in the calculator) times “t” of 500,000 years. To his great amazement, he does not get the [then] current wp of 6.5 billion (6.5 X 109) people. We KNOW this is the correct population due to census figures. Something must be wrong. He checks and rechecks his data: One man / one woman, under one half of one percent growth rate, and a half a million years of Homo sapiens (Biology, by Raven and Johnson, p. 525). Still he gets the astronomical figure of 2.45 X 10990! Something is definitely drastically wrong. This is more people than all the electrons that could be packed into the universe. On the other hand, the [“sacred history of Genesis”] records a massive death-event about 4500 years ago (the Flood of Noah’s day) that reduced the human population to 8 people (Genesis 9:19). Starting with these 8 people for Po, .456% for the growth rate, r, and 4500 years for time [results in] a world population of 6.5 billion (6.5 X 109) in 2000. . .The only way 500,000 years can be made to ‘arrive’ at 6.5 billion people is to drastically reduce the growth rate to .00438% (.0000438 in the calculator). . . This sets the stage for researchers to compare competing models’ predictions against measured mtDNA differences. Bible-believing molecular biologist Dr. Nathaniel Jeanson downloaded publicly available human mitochondrial genome sequence data to do exactly that. Publishing in Answers Research Journal, his results show that the number of today’s mtDNA differences exactly matches the number predicted by the Bible’s 6,000 years of human history.1 Mitochondrial DNA from around the world shows no trace of the 200,000 or so years’ worth of mutations that the evolution model predicts. A second pattern emerges that also fits the three wives explanation. Assuming longer times between each generation, according to the biblical record of lifespans before the Flood, and using today’s slow mutation rate, the 1,656 years between Adam and Noah would have produced the small number of differences that the short lines between each trunk represent. What difference does it make whether we believe that a cataclysmic world-wide flood took place 4500 years ago or so in the time of Noah, or that the Earth that we see today is the result of billions of years of more gradual and localized geological processes? There are several reasons why faith in the literal historical truth of the Genesis account of the Flood is especially important today. 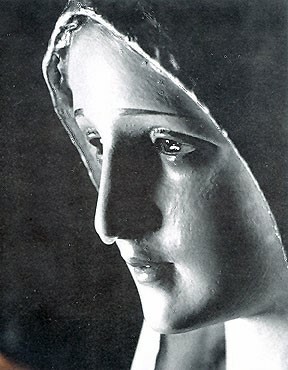 In the first place, since all of the Fathers and Doctors of the Church believed and taught that the Flood was a global flood, abandonment of this interpretation is tantamount to saying that the Church was wrong in her interpretation of Genesis from the beginning, and that God used godless natural scientists who hated the Church to enlighten Her. This is a false, unjust, and ultimately suicidal position, as it leads young Catholics to the conclusion that God and His Church are unreliable and untrustworthy, and that the most reliable guides to truth in the modern age are godless scientists. In addition, the Global Flood is a perennial reminder that God is the Creator, Lord, and Sovereign Judge of all His creatures. He respects the autonomy of His rational creatures; but He will intervene to halt the spread of evil when a society becomes so corrupt that the children of that society no longer have a chance to grow up without being corrupted. 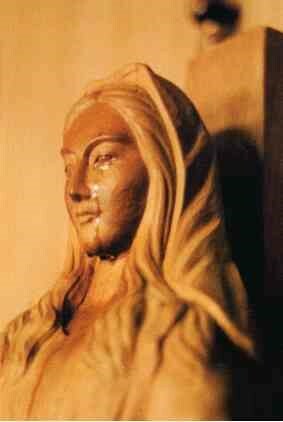 In private revelations approved by the Church, The Blessed Virgin has repeatedly warned us that we deserve a punishment “worse than the Deluge” and that we must repent or face a punishment worse than the Flood. 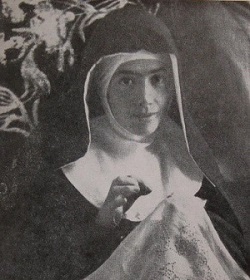 The Blessed Mother warned Blessed Elena Aiello before her death in 1961 that mankind deserved a punishment worse than the Flood. Great Books of the Western World, Robert Maynard Hutchins, Editor, Vol. 31, Descartes / Spinoza, Encyclopedia Britannica, Inc. Chicago, William Benton, Publisher, pp. 55-56. 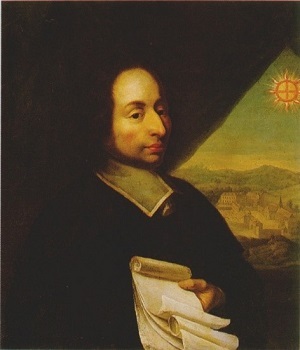 Blaise Pascal, Pensees (1669) Sect. 4, No. 162. Dury, G. H., “Theoretical Implications of Underfit Streams.” U.S. Geol. Survey Prof. Paper 452-C, 1965, pp. C1-C43. (Dury, G. H. Streams – Underfit,” in Fairbridge, R.W., ed., The Encyclopedia of Geomorphology: NY: Reinhold 1968 pp.1070-1071).